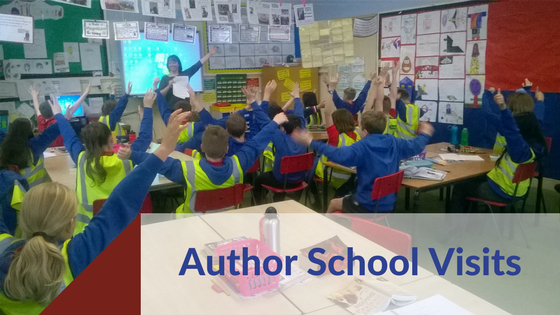 Barbara Henderson spills the beans on how to secure bookings for author school visits. I am an author of children’s fiction, so schools are going to be my natural habitat. It’s where readers are, it’s where reading happens, it’s where teachers and librarians fuel the next generation of readers and leaders. Of course, schools value author visits - but schools are also very busy places! So how do you get yourself the elusive school bookings? How do we get a foot in the school door? I began by offering to come in to read from my work-in progress. This was before I was a published writer, and my son was still at the local primary school. How hard could it be? I offered every Friday afternoon for a term and began to read aloud to two classes, three chapters a week. It forced me to be disciplined about my writing, to see it through – and a wonderful by-product was that many of the pupils called me ‘writer’ or ‘author’ before I had the guts to do so myself. I also went in for special occasions such as World Book Day or Book Week Scotland – and soon became the go-to booky lady. 2. Making the most of the links with schools you already have! By the time Fir for Luck was accepted for publication, I already had a relationship with this school, and any schools the relevant teachers had moved on to. Contacting them was relatively easy: Would you like to host a book launch, considering you have been so supportive of my writing? They agreed, and many of the kids bought books and spread the word, as did the teachers. I began to get requests for events. Your local authority website will have a list of schools, with phone numbers and email addresses. This is gold dust. But be careful – waste your approach and it will be awkward to ask again. Timing is everything here. Consider getting in touch six weeks before World Book Day, or Book Week Scotland, and keep your email upbeat and simple – teachers are the busiest people I know. It is best if you send to the head teacher directly, instead of a general info@ type of email. Tap into what they may need. My pitch was ‘I wonder if any of your pupils are doing the Victorians or the Highland Clearances as a learning context?’ As these are the historical contexts my two books explore, a sentence about each, a couple of images (screenshots of star ratings on Amazon or Goodreads work well) and a sentence of the type of thing you could offer is all you need. Fingers crossed some will bite! Some authors I know simply post in relevant groups or pages: Would anyone like an author visit? This seems to work. My approach is a little different: I tend to try to offer something of use to teachers, like a good activity or idea (linked to your book), with an engaging picture of kids having fun at a previous event - pictures of happy children always do go down well with teachers and inspire confidence that you’re going to be good. I may also point out funding streams for author visits, or a writing competition for schools. That means I keep myself visible, so that when it comes to pitching for events, they may remember seeing me and have more confidence. Tweeting may work, too, but I find it more of a shot in the dark. Pics of kids on their feet, participating, are your best ads! Ask permission and use the pictures to pitch for your next event. Be as varied as possible. I do traditional author Q&As as well as talks on research and creative writing workshops for seniors. 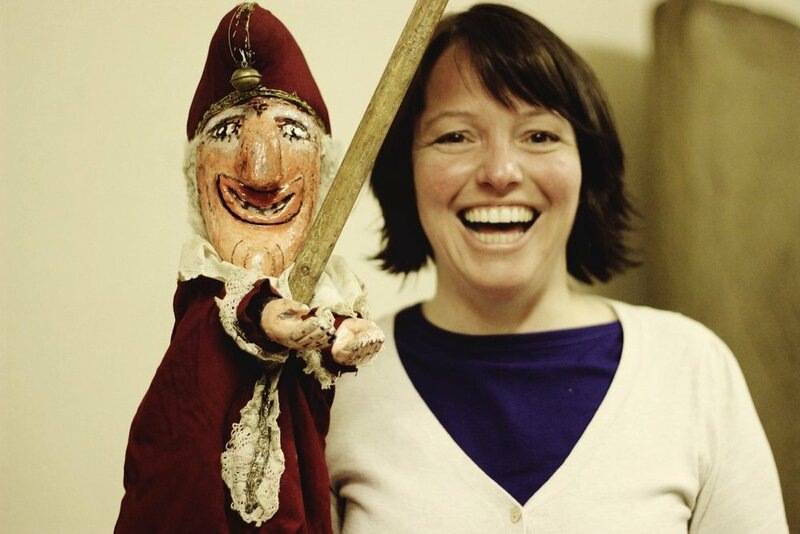 I do Highland-Clearances-style cooking, drama workshops based on key scenes of my book, and shadow puppetry. Once, I even did an impromptu ceilidh with a school group, playing my fiddle and giving all pupils a chance to participate in some way. I am about to do a fir-themed event at a garden centre ahead of Christmas, with Christmas tree related readings from both my books, in combination with legends and fairy tales which feature fir trees. Fast-moving, interesting, varied: these are the qualities which will hold children’s attention and therefore be attractive to teachers. Make sure schools know what is on offer – the more you can/are willing to do, the more likely they are to be interested in something! Your best shot of making a good impression is to be a cheerful and inspiring person in the classroom – not always easy when, secretly, you’re just an ordinary human like me! . The only thing that sells ‘you’ more than a picture-of-happy-kids, is a picture of happy-you-WITH-happy-kids: a writer AND an entertainer. Be proactive. Embrace your grin! Let loose. The kids will love you! Barbara Henderson is an English and Drama teacher and the author of Fir for Luck, a historical novel for 9-12 year-olds, set during the Highland Clearances. Her latest novel, Punch, is the story of a Victorian boy on the run. Find out all about Barbara’s work at http://www.barbarahenderson.co.uk/.